The fourth annual Bodley Head/FT Essay Prize aims to discover the world’s best young talent in long-form essay writing. We are looking for a dynamic, authoritative and lively essay of no more than 3,500 words on a non-fiction topic of your choice. It can be journalistic, it can be a case study; it can be wide-ranging or minutely focused. In keeping with the ethos of both sponsors, it can address any topic – from finance to history, from current affairs to a scientific discovery. We are not looking for a particular subject; we are simply looking for quality writing. If you are 35 years old or under and would like your work to be read by Simon Schama (historian and FT contributing editor), Will Hammond (editorial director at Bodley Head), Dan Franklin (digital publisher at Random House), Stuart Williams (publisher at Bodley Head), Caroline Daniel (FT Weekend editor) and Lucy Tuck (editor, FT Life & Arts) then please send us your entry by midnight GMT on November 29 2015. It was indeed an awesome day on Sunday as the Adventist Students’ Fellowship embarked on a community service exercise for the entire Obafemi Awolowo University community. An exercise which kick-started at about 8am and ended around 6:30pm at the Health Centre car park had many dwellers and passer-by to stop and take part in the event. 300 students to partake in the event.. The community service which had about 300 students participate involved free medical check-ups ,free barbing, free hair dressing and lots more. 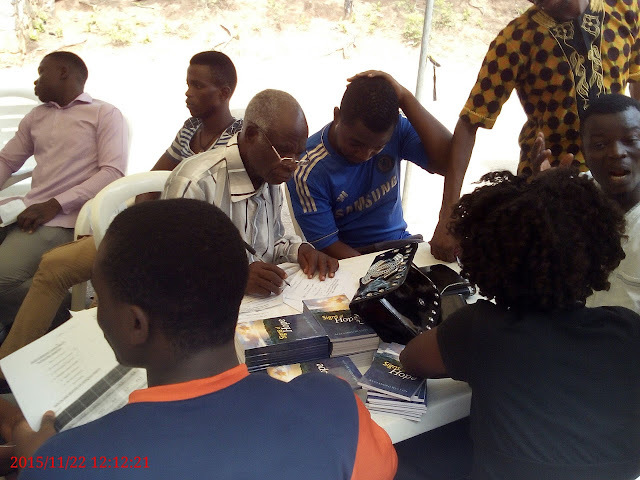 The medical check-ups conducted included glucose test, blood pressure test and body mass index which was handled by medical experts from the Seven-day Adventist hospital in Lagere, Ile-Ife. Black Friday is the day following Thanksgiving Day in the United States (the fourth Thursday of November). Since the early 2000s, it has been regarded as the beginning of the Christmas shopping season in the US, and most major retailers open very early (and more recently during overnight hours) and offer promotional sales. Black Friday is not an official holiday, but California and some other states observe "The Day After Thanksgiving" as a holiday for state government employees, sometimes in lieu of another federal holiday such as Columbus Day. In Nigeria, this day has also been adopted by several online stores to sell promotional goods. 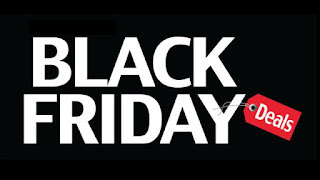 For 2015, some of the leading online stores have announced their Black Friday sales programme; Konga will have theirs on Thursday, 26th November, 2015 and Friday, 27th November, 2015. Another leading store, Jumia will have theirs on Friday, 27th November, 2015. The Students’ Union Building (SUB) of Obafemi Awolowo University once again wears a decent and serene look as all the banners and publicity boards placed in front of it have been removed. Before now, the University Management in one of her meetings with the Students’ Union leadership had raised concerns about the look of the SUB as it looks disorganized. 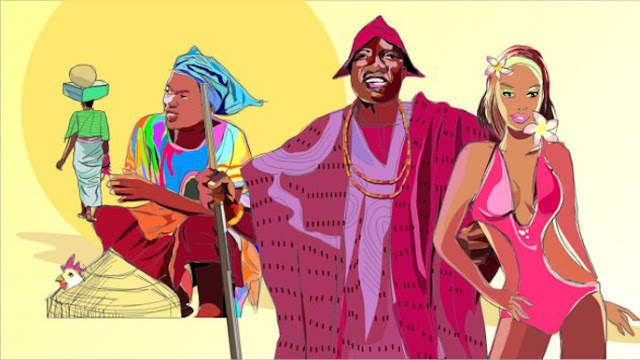 The Department of Dramatic Arts, Obafemi Awolowo University will be entertaining as many Nigerians that will be attending the 41st Convocation of the institution with a stage performance of Ola Rotimi's play titled ‘Our husband has gone mad again’. The performance is billed for Thursday, 10th December, 2015 by 8:00pm at Oduduwa Hall. Wednesday, 9th December 2015 – Award of Diploma Certificates at the Department of Local Government Studies by 10:00am. Thursday, 10th December 2015 -Conferment of First Degrees, Postgraduate Diplomas and Masters’ Degrees Faculties of Administration, Arts, Education, Law and Social Sciences at the Oduduwa Hall Amphitheatre by 10:00am. 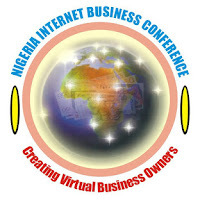 The online registration to attend the first ever Nigeria Internet Business Conference (NIBC) has began. * Registration opens to young Nigerians, who owned or must be willing to own an online business. * Prospective participants must be able to type in character on a computer. * Your free eventbrite ticket is your entry pass at day 1. Registration deadline: Online registration for the NIBC ends by 11:59pm on Thursday, November 26, 2015. * After registration, your ticket would be sent to your email. Print and bring to conference room for Day 1. * Your free online ticket and your bank teller are your pass to conference workshop. * Paid participants will receive their tags, immediately they show their bank teller. 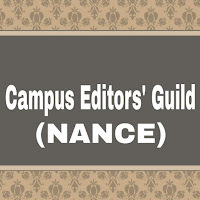 The National Association of Nigerian Campus Journalists (NANCE) has expressed disappointment over the current state of the Nigerian tertiary education and in turn proffers some possible solutions that can ameliorate the condition. In a Press Statement co-signed by the National Chairman, General Secretary and Head Support Team of NANCE, Olanrewaju Oyedeji, Abdul Shehu and Akintola Lukmon respectively, the effect of constant strike actions, delayed future, lackadaisical behaviour of lecturers, lack of learning facilities, mismanaging managers, egocentric leaders and other things have been highlighted as parts of the reason for the decadence of a sector.